When it comes to streaming music, you've got all kinds of subscription services to chose from these days—Mog, Rdio, Spotify, and more. 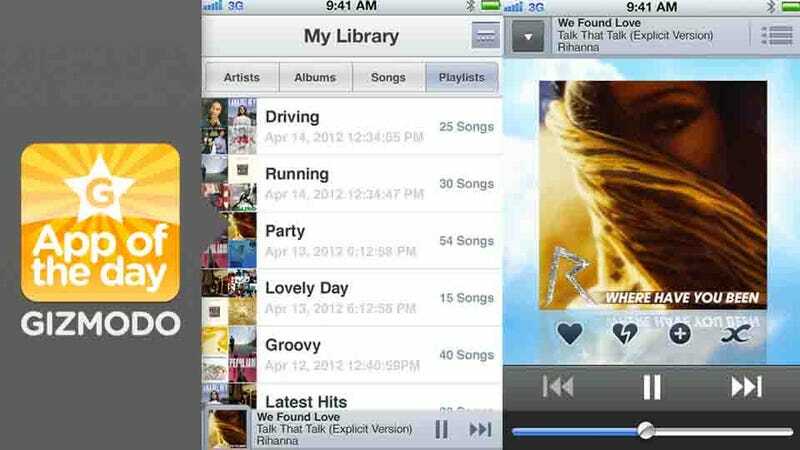 Music Unlimited is Sony's offering, and today its iOS app landed in the App Store. It works very similar to other similar services. You can stream music to your iPhone for $3.99/month for a basic plan or $9.99/month for premium. The cheaper plan lets you chose from different channels that you can customize by liking or disliking tracks (much like Pandora), and you can upload your personal library by matching it with Sony's. The premium option, of course, gives you no-holds-barred listening to all 15 million available songs.